When it comes to HVAC installation and services within your Oklahoma City, OK business, you only want to trust professionals who have experience in the commercial space. 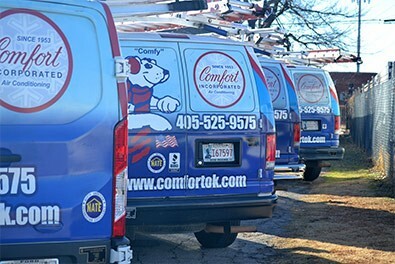 For over 60 years, Comfort Incorporated has been providing superior services to both residential and commercial customers throughout the area. We’re dedicated to providing you with exceptional customer service, along with a 100% satisfaction guarantee. We live within the communities in which we work, and treat our commercial clients the way we would want to be treated! 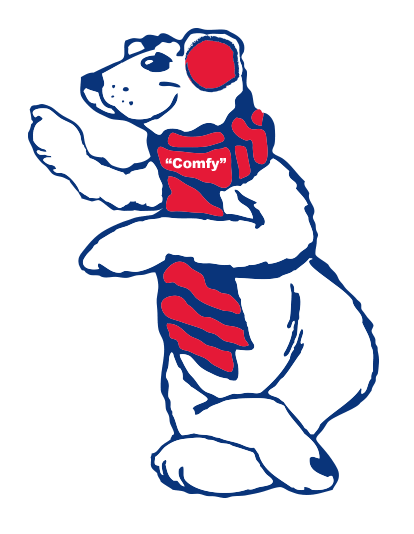 Contact us today to schedule your commercial heating and cooling services with a team you can rely on, or give us a call to request an estimate on commercial HVAC services in Oklahoma City and the surrounding area. We offer a wide variety of commercial HVAC systems and services including packaged HVAC units. We’re happy to discuss with you in greater detail what exactly we can offer your Oklahoma City, OK commercial space. Here is a rundown of the systems and services we offer. Commercial Air Conditioning: Rooftop units are a logical option for many businesses in the Oklahoma City, OK area, since they save space and are also extremely efficient. Our team is highly experienced in installing and servicing these types of commercial AC systems and more. Commercial Geothermal: Geothermal systems involve an extensive installation process, which is why it’s vital that this service be performed by professionals with the right training to serve your commercial space. Commercial geothermal heating and cooling offers your business a number of benefits that more than make up for the initial cost of installation. Commercial Heating: Without special training and equipment, it would be impossible to effectively install and service a commercial heating system. Fortunately, you can count on both when you trust Comfort Incorporated for the job. Commercial Indoor Air Quality: Taking care of the indoor air quality in your business or commercial space is essential to keeping your employees, tenants, or clients happy and healthy. Contact us to learn about our numerous commercial indoor air quality products and services! Commercial Lease Program: Since we are a business ourselves, we understand how important it is to budget in order to focus on profitability and running your organization. This is why we offer special commercial financing options. Contact us today to learn about our unique commercial lease program! Would you trust just anyone off the street to do your company’s bookkeeping? Chances are high that no, you wouldn’t. Therefore, you shouldn’t trust just anyone for your commercial HVAC services. Only a company with extensive experience in the commercial sphere is going to understand the unique needs of your business. When it comes to installation, you want to ensure that you are getting the right sized system for optimal efficiency and effectiveness. You also want to make sure that the system you choose is going to meet the needs of your particular space. 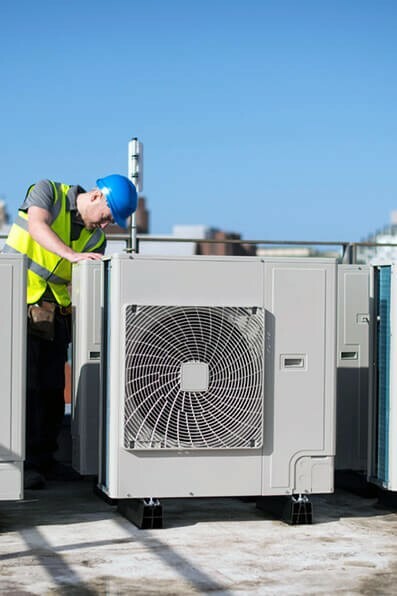 Staying on top of your commercial HVAC maintenance and repairs is also essential to the performance of your systems, and the comfort of your business. Maintenance should be performed at least once a year for traditional commercial heating and cooling systems, and more often for two–in–one systems such as geothermal systems. Contact us today to learn about our maintenance program and the benefits you and your business receive when you become of a member of the Comfort Club. We look forward to serving you!